In a span of 60 days during early fall 2016, Zone Striping, Inc. worked on thirteen (13) separate Airport Striping Projects. These projects included waterborne and epoxy resin paint striping, concrete surface preparation, line removal and runway rubber removal via hydro blasting as well as preformed thermoplastic (Air Mark) enhancements and surface signs. The work on these projects involved the placement of 1,899,851 SF of Paint, 485,000 SF of Rubber Removal, 144,492 SF of Striping Removal and the installation of 40,754 SF of Air Mark Preformed Thermoplastic Air Field Markings. 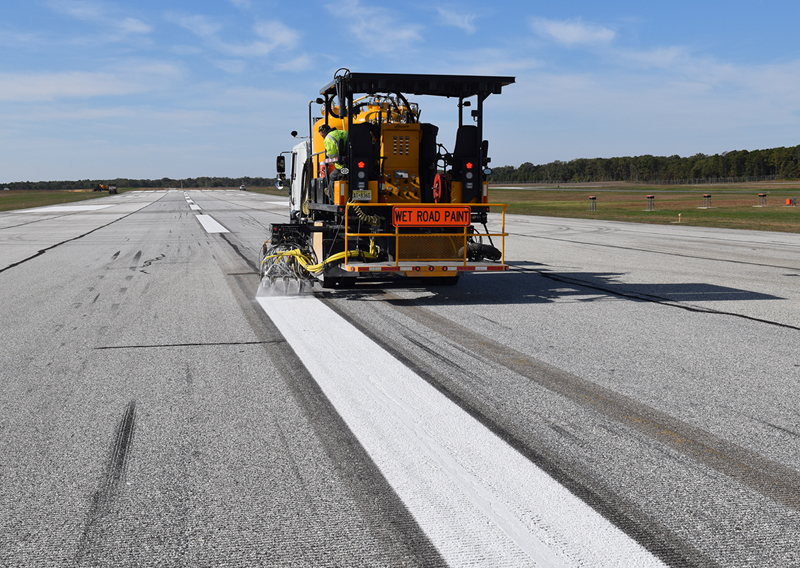 Zone Striping, Inc. is pleased to add these projects to our ever expanding list of Airport Striping projects completed throughout the Northeast and Mid-Atlantic Regions.